Claudia Dillmann, director of the Deutsches Filminstitut – DIF, has delegated her position as director of goEast, Festival of Central and Eastern European Film, to her colleague Christine Kopf. Dillmann intends to concentrate all her energy on current projects of DIF, as there are the construction of a central internet portal on German Film and the preparation for the Deutsches Filmmuseum’s integration into the Deutsches Filminstitut – DIF. Dillmann, who founded goEast in 2001, has successfully established this young festival on a regional as well as national and international level in short time. Christine Kopf, the new director of goEast, has been in its team from the very first moment and had already been head of organisation in 2002 (together with Wieland Höhne). After studying film theory Christine Kopf worked as a curator for film programs and expositions in the Deutsches Filmmuseum and in the department for expositions in the Zentrum für Kunst- und Medientechnologie (ZKM) in Karlsruhe. Besides she developed a concept for a coming Television Museum for the town of Wiesbaden. 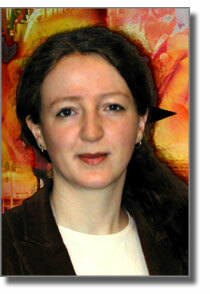 Since 2000 she has constantly been working for DIF as a researcher for different projects. The 4th goEast-Festival is taking place in Wiesbaden from April 21st to 27th 2004. In its Competition Section 15 current full-length feature and documentary films are competing for the prizes awarded by an international jury: the festival’s highest accolade “Die goldene Lilie” (The golden Lily), which includes a prize money of 10,000 €, the with 7,500 € endowed prize for best direction of the town of Wiesbaden as well as for the Hertie-Foundation Documentary Award (10,000 €). Additional a jury of FIPRESCI awards the prize of International Criticism for the second time during goEast. Besides the competition the festival includes an academic symposium, which represents one of its most important parts. Not only this year but also the next the symposium will concentrate mainly on the current cinematographic developments in the acceding countries from Central and Eastern Europe. In 2004 films from Hungary, the Czech Republic, Slovakia and Slovenia and in 2005 from Poland, Lithuania, Estonia and Latvia are going to be presented under the symposium’s title “Identities in the Post-Communist Era”. The aim of the symposium is to investigate how film directors define “identity” in periods of transition and political change and how they deal with this problem from an aesthetic point of view. In the Student's Section young directors from Sofia, Zagreb, Weimar, Hamburg and the Rhein-Main-Area are presenting their short films. The three prizes sponsored by the HypoVereinsbank will be awarded by the public. For the traditional Matinee on Sunday goEast expects a special guest of honour: Marina Tarkovskaja, sister of the late director Andrej Tarkovskij, who will be reading passages from her book “Splinters of the mirror”. For the first time her memories give an insight into the personal universe of her brother, the world famous Russian director. Two of his films, THE MIRROR and NOSTALGHIA, will be screened as special events. The state capital Wiesbaden and the state-sponsored initiative Hessen-media are the main sponsors of the film festival goEast, that is frequented by artists, cineastes and journalists form east and west. The Deutsches Filminstitut – DIF invites you to the presentation of goEast – Festival of Central and Eastern European Film during the Berlin International Film Festival on Monday, February 9th at 3:30 p.m. in the Hessische Landesvertretung (In den Ministergärten 9, 10117 Berlin).